Great central location, just minutes to Boise Town Square, Edwards 21 Cinemas, fine dining, easy freeway access, and much more! This is a two story condo built in 2007. 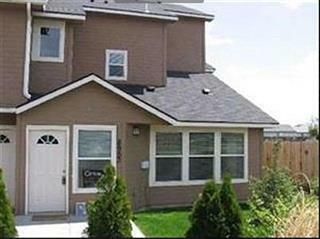 Features two bedroom two bath split floor plan perfect for a family or roommates. Fully equip kitchen that has breakfast bar and eating nook. The cute and cozy living room has gas fireplace and built-in area for your tv. Community pool too!